In recent months, there has been a growing movement across the United States to put the brakes on the implementation of the Common Core State Standards (CCSS, or ‘Common Core’), a set of guidelines about what students should know and be able to do in grades K-12 that have been adopted by 45 states and the District of Columbia since 2009. Those on the right fear that the Common Core inappropriately imposes national education standards on states, does not come with a clear implementation process, and poses grave threats to student privacy. Gates, the Walton Foundation and other corporate interests have poured millions into the development of the standards. 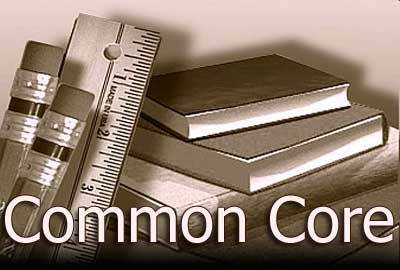 Proponents of the Common Core believe that they are simply a set of standards that will improve student achievement and put the United States on the right track for competing in a global economy. The Common Core State Standards were developed in 2009 after the National Governors Association and the Council of Chief State School Officers hired David Coleman, who is currently the president of the College Board and formerly a board member of Michelle Rhee’s StudentsFirst , to write the standards, which are intended to improve student achievement and college and career readiness. Standards have been developed so far for English language arts and mathematics. Forty-five states have adopted the CCSS, which, as many familiar with the standards are quick to point out, provide guidelines for what students should know and be able to do in grades K-12. They are not curricula and do not direct teachers on how and with what resources to teach. In 2009, Secretary of Education Arne Duncan sought to spur adoption of the standards by offering an incentive through the Race to the Top (RttT) grant program. If states wanted to be eligible for a RttT grant, they had to adopt the CCSS or some other similar program. North Carolina threw its hat in the ring and promised to adopt the CCSS. The state ultimately won a RttT grant for $400 million. Some of that money has been used for implementation of the CCSS, which was officially in place for the 2012-13 school year. 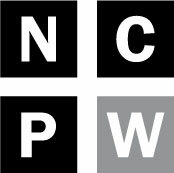 Michael Maher, assistant dean for professional education and accreditation at North Carolina State University, told NC Policy Watch that overall the CCSS are a big improvement to what was previously in place. “The Common Core is definitely an improvement. These standards are better than the Essential Standards, which many consider to go an inch deep and a mile wide. The Common Core is the opposite, it goes much deeper and allows us to benchmark against other high-performing states and learn from them,” said Maher. Elizabeth Bowden is a 6th grade English language arts teacher at Catawba Elementary School. She says she’s pretty happy with the new Common Core State Standards. Stacy Lovdahl is a science teacher at Jacobs Fork Middle School in Catawba County. She says her colleagues have had greater difficulties than what Bowden experienced when it comes to implementing the CCSS. Lovdahl explained that informational texts could include a newspaper article or a non-fiction text found on the Internet. She figures that since adults spend the majority of their time reading those kinds of materials, that’s why those who developed the Common Core decided that students should spend most of their time learning how to digest non-fiction, informational texts. “So teachers spend far less time teaching novels, or poetry, or dramatic texts,” said Lovdahl. Aside from the fact that she believes there is relevance and value in teaching fiction to students, even when they may not be required to deal with those sort of texts frequently in their adult lives, the largest problem everyone faces in her school, Lovdahl says, is the lack of necessary resources to effect this transformation. “Teachers are expected to spend far more time seeking out high-quality informational texts, instead of relying on textbooks or novels. Then they must print those texts out and pay for those copies,” said Lovdahl. And that, she said, is a budget issue that negatively affects teachers and students. Allocations for instructional supplies will not increase thanks to the budget that the General Assembly just passed, and Governor McCrory signed into law, just a week ago. That budget spends $500 million dollars less than the 2008 inflation-adjusted budget for the next biennium. In recent months, state leaders are responding to criticism of the Common Core by putting the breaks on its implementation, or pulling out altogether. Indiana pulled out of PARCC, which is a consortium of 26 states that is developing assessments around the Common Core, just last week. In Florida, the home of Jeb Bush — who is a key supporter of the Common Core — there is reportedly a battle raging within the conservative party with regard to the Common Core standards and tests that are associated with it. Tea Party activists in particular have been leading the movement against the Common Core in places like Pennsylvania, Michigan, and Indiana, alleging that the guidelines are a federal takeover of education. Glenn Beck has been very vocal in his opposition to the Common Core, saying that it is a “leftist indoctrination” and claiming that some children have even been subject to iris scans thanks to its guidelines. North Carolina’s State Superintendent for Public Schools, Dr. June Atkinson, says she’s received emails from citizens concerned that the state will collect information such as facial expressions of children, parents’ political and religious affiliations, blood pressure readings of students, and the DNA and irises of children—all thanks to the Common Core guidelines. “Nothing could be further from the truth,” said Atkinson. But even if it is not end goal of the Common Core State Standards to invade students’ privacy or impose curricular directives, there is a question of how to implement the new standards when North Carolina’s public education system will continue to face dwindling resources over the next two years, at least. Moving forward…or putting on the brakes? Last week, Governor Pat McCrory gave a speech at the NC Chamber of Commerce’s Education Summit, where some say he endorsed the Common Core standards. “It’s not the standards that are bad; it’s the execution which must be improved here in North Carolina,” he said. That language isn’t all that dissimilar to what Lieutenant Governor Dan Forest, a member of the State Board of Education by virtue of his post, asks in a letter to June Atkinson. He questions the cost of the implementation of the CCSS, the technological needs that the guidelines demand and the degree to which students’ privacy will be safeguarded. There’s also an accompanying video that features Forest explaining his concerns about the CCSS. Ultimately, however, the end goal of Forest’s inquiry seems to be to put the brakes on the implementation of the Common Core State Standards in North Carolina. a. Are you saying that if we paused CCSS there would be so much confusion that teachers would no longer know what and how to teach? b. North Carolina did not use the CCSS standards until this past school year. Do you believe that we have not been teaching our students to read, write, speak, listen, and learn math for the past several decades? c. If we had to pause the implementation of CCSS to make sure that all of our concerns were addressed appropriately and costs were accurately assessed, could we use our previous standards? i. If not, please detail what issues would be encountered with using previous standards. ii. And why those standards are no longer useful. d. Are states like Indiana, Georgia, Michigan, and Pennsylvania providing a substandard education while they pause CCSS and its associated requirements? e. If so, what could North Carolina do to make a pause in implementing the standards successful should it be necessary? Atkinson said she planned to respond to the Lt. Governor’s lengthy inquiry by the end of last week. When asked if Common Core will be the focus of the August State Board of Education meeting, she explained that there have been mini orientation sessions about the Common Core embedded into the State Board of Education meetings for the past several months, and August will be no different. The State Board of Education meets this week, Aug 7-8. Follow me on Twitter at @LindsayWagnerNC for updates. Questions? Comments? Education reporter Lindsay Wagner can be reached at 919-861-1460 or lindsay@ncpolicywatch.com.